Casual sophistication from Barbour's Chapton collection, this ladies' wristwatch is styled with an oversized stainless steel case and cream dial. Finished with a stylish brown leather strap with cream stitching. 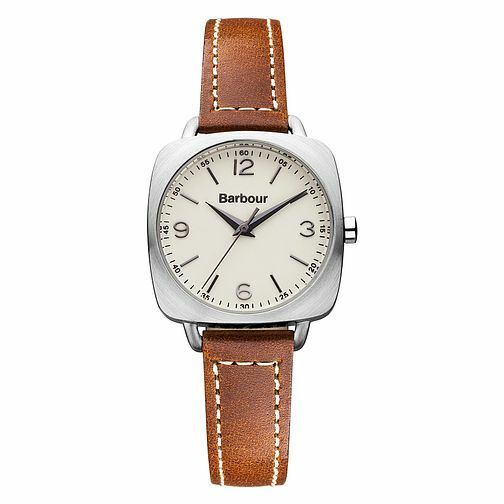 Barbour Chapton ladies' brown leather strap watch is rated 5.0 out of 5 by 1. Rated 5 out of 5 by Anonymous from Beautifully designed ladies watch. I am very pleased with my new watch. Service was excellent and swift.